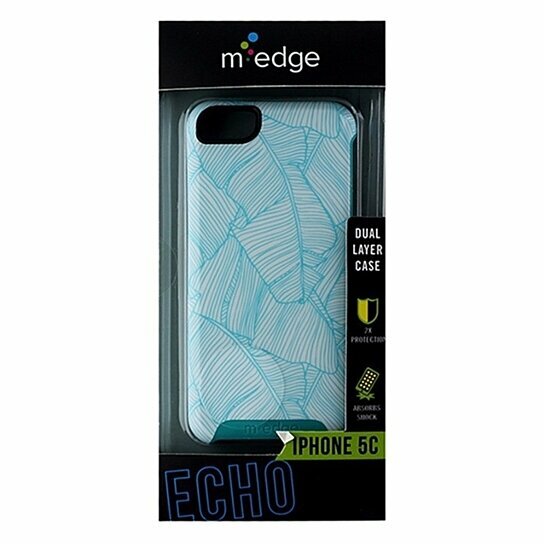 M-Edge products Echo Series, Hybrid Case for Apple iPhone 5C. White and Teal Leaves design on a glossy shell with a Teal shock absorbing interior layer. Raised bezel helps protect screen.